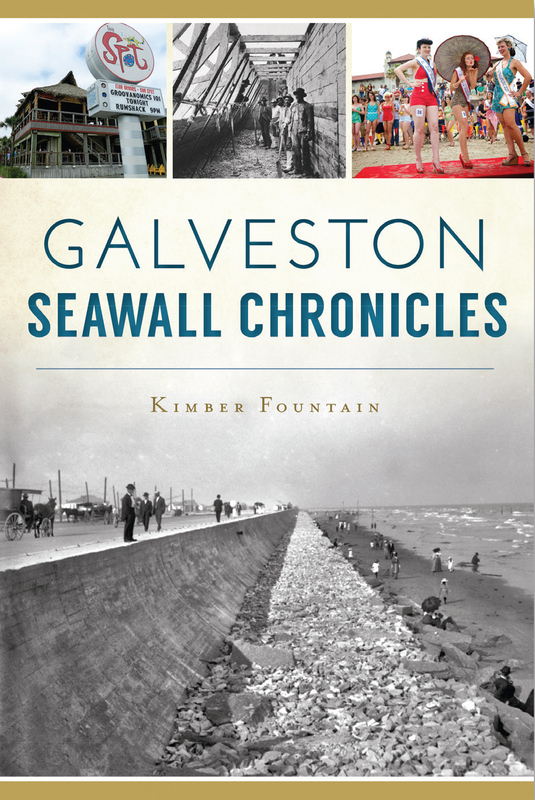 Join author Kimber Fountain for a book signing of her new release, Galveston Seawall Chronicles, on Saturday June 10, 1-3pm at Eighteen Seventy One, 2002 The Strand. Along Galveston’s Gulf Coast runs a seventeen-foot-high, ten-mile-long protective barrier—a response to the nation’s all-time deadliest natural disaster. The seawall remains a stoic protector more than a century later, shielding the island from much more than physical destruction. As the foundation of Seawall Boulevard, this structure created an entirely new tourism industry that buoyed the city’s economy through war, the Great Depression and hurricanes. Adapting to the cultural trends and political movements that defined the past century, the seawall represents the unbreakable spirit of Galveston’s resilient population and provides a fascinating glimpse into bygone times. Kimber Fountain grew up on the Texas Gulf Coast and was a frequent visitor to Galveston as a child and a teen. After receiving a bachelor of arts degree in theatre and dance from the University of Texas at Austin, she spent many years in Chicago before returning to Texas and making her present home on the island. Kimber has spent the past five years intently studying Galveston history within her work as a writer for several local publications and through her former position as a historical tour guide. She is currently the editor-in-chief and feature writer of Galveston Monthly magazine and serves as chairperson of the Arts and Historic Preservation Advisory Board to the Galveston City Council. Occasionally, Kimber can also be seen on stage at the Island East-End Theatre Company in downtown Galveston.